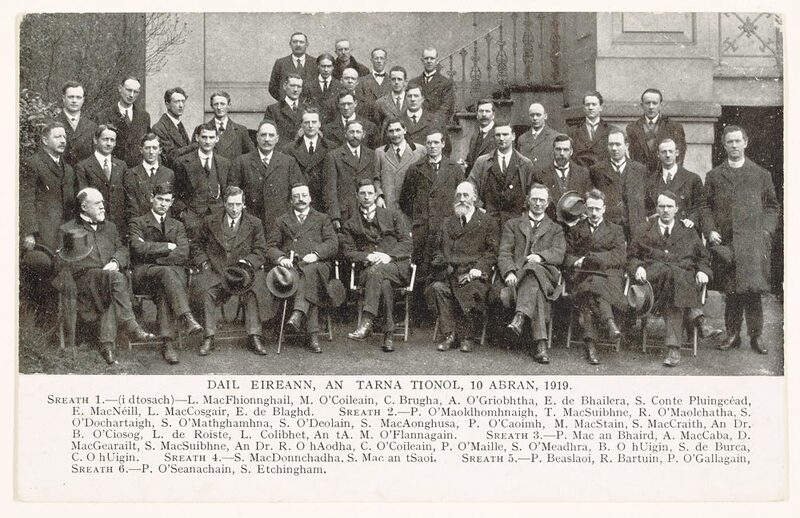 Following their success in the general election, Sinn Féin refused to take their seats in Westminster and instead set up their own parliament, the Dáil Éireann, in Dublin. It was intended to be an assembly of the elected representatives of the Irish nation. Sir Edward Carson, leader of the Ulster Unionists, was invited to take his seat, but he declined. Thirty-four of the Sinn Féin deputies were also absent as they were in prison. At the first meeting, the Dáil adopted a declaration of independence, which they hoped would be recognised in the coming international peace conference at Versailles, France. In the second session, Éamon de Valera was elected president. 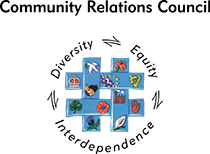 Ministers included Michael Collins, Eoin MacNeill and Arthur Griffith. The British government declared the Dáil an illegal institution in September. 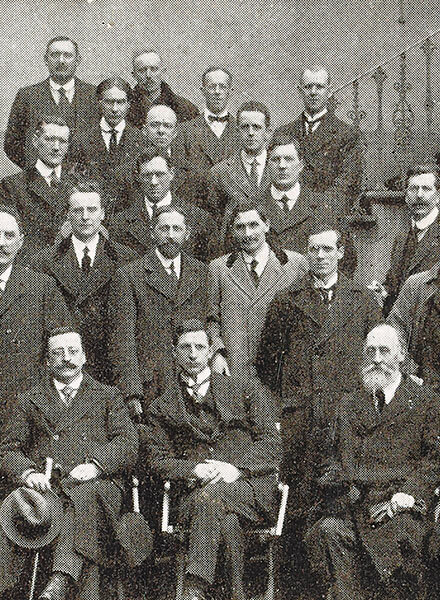 Members of the First Dáil at a meeting in the Mansion House on April 10th, 1919.